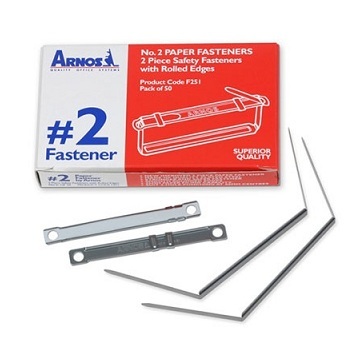 Superior 2-piece metal Paper Fastener with sliding lock clips. New design features rolled edges for safer and easier use. 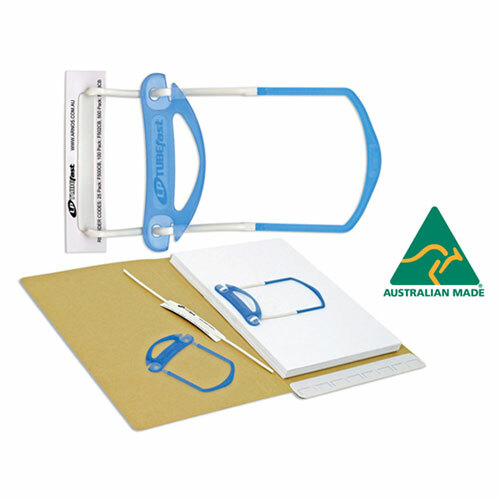 40 mm file capacity for 2 hole punched documents at 80 mm centres. 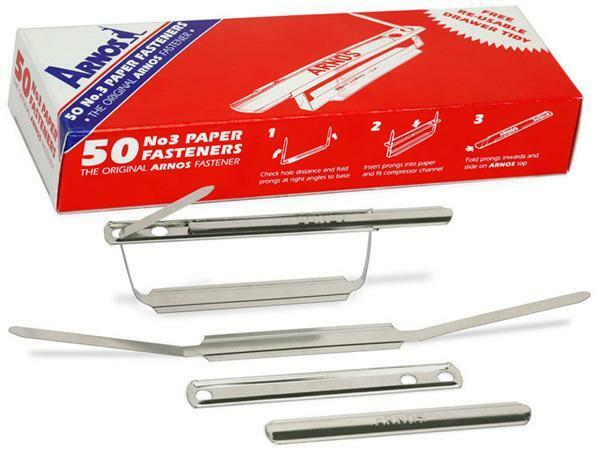 The original famous 3-piece Long Prong Paper Fastener provides a secure method of binding. Your papers stay put. 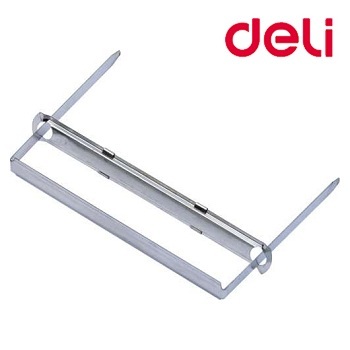 Your documents stay secure by clamping down the prongs with the full length, slide over the prong cover. 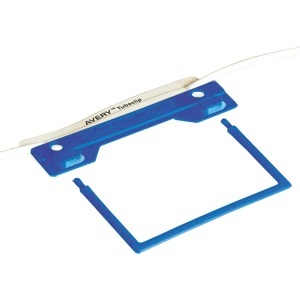 50 mm file capacity for 2 hole punched documents at 70 mm or 80 mm. 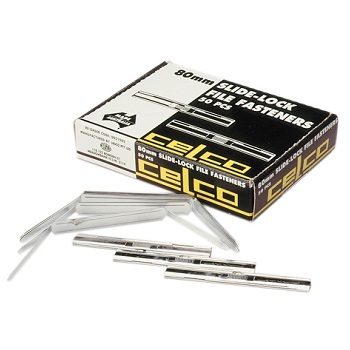 Celco slide-lock file fasteners are a two piece mechanism for fast filing. 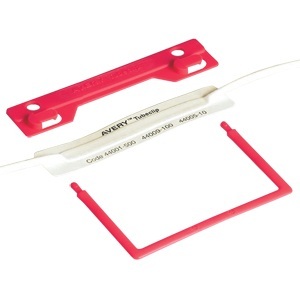 Simply add your documents, then lock down the fastener ensuring your documents stay securely in place. 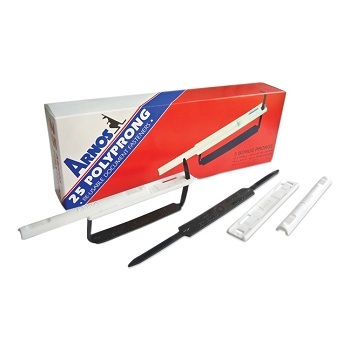 Suitable for two hole punched papers and manilla folders. 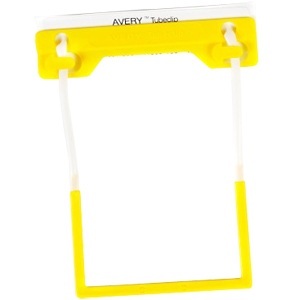 Expands up to 50 mm to hold bulky documents. Box of 50 slide lock fasteners. 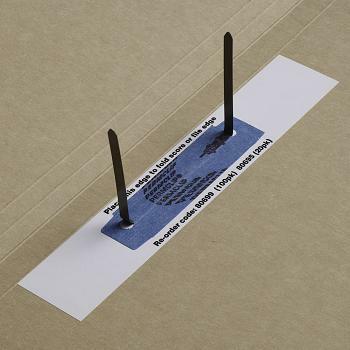 Safe and secure all plastic paper fastener with full-length secure top slide and reusable polypropylene prongs. Consists of 3 pieces; a tough polypropylene prong, a channel compressor and a cover plate that cams for secure fastening grip. 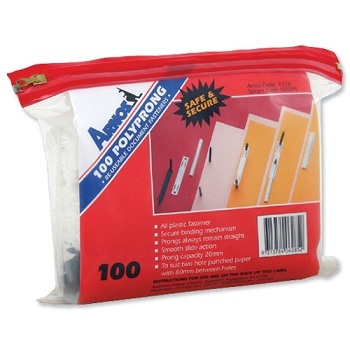 Capacity 30 mm of paper - suits two hole punched paper with 80 mm between holes. Available in a pack size to suit your requirements. Turns any folder into a self-expanding lever arch file and is commonly used for medical and law files and by records management companies. 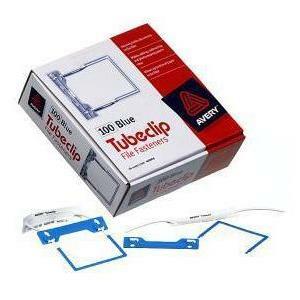 TUBEfast is a 3-part self adhesive plastic file fastener (complete) and is manufactured in Australia by ARNOS. 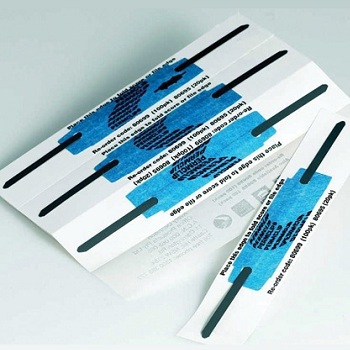 TUBEfast allows up to 35 mm of papers to be filed with 2-hole punching at 80 mm centres. 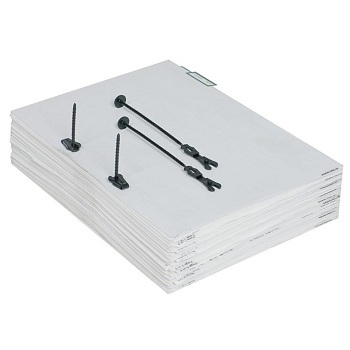 All plastic polypropylene paper binders for the temporary or permanent binding/archival of documents. 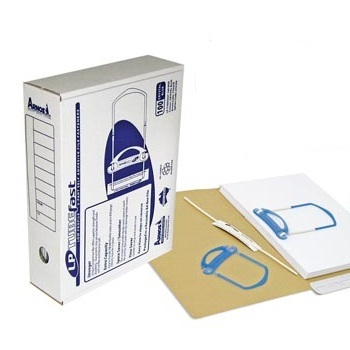 Re-usable, adjustable archival safe paper binder. Cut prong to desired length with scissors. Adjustable capacity of 10 mm - 100 mm. Two pronged enamelled fastener with extra strong self-adhesive base. 50 mm file capacity suitable for archiving and holding heavy documents. 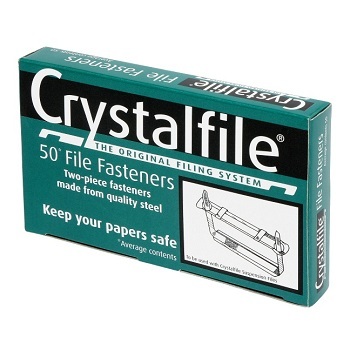 Can be adhered to any file, perfect for securing documents. 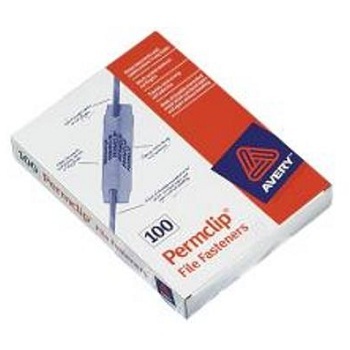 Box of 100 Permclip file fasteners. 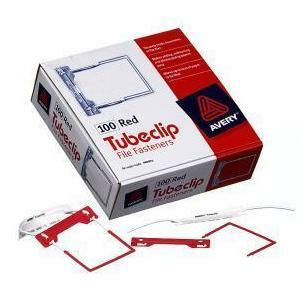 The Avery Tubeclip® is versatile and really is a great solution to save space. Easily attached to manilla files and lateral files to ensure pages are secure. 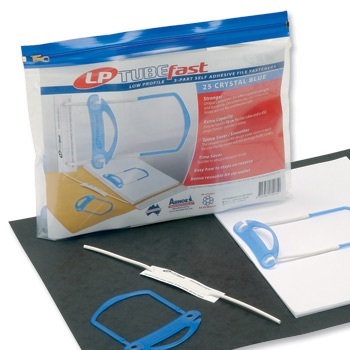 Consists of 3 pieces - a 'U' piece, self-adhesive base and a compressor bar. 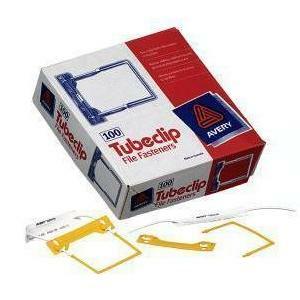 Box of 100 tubeclip file fasteners. Available in Yellow, Blue or Red. 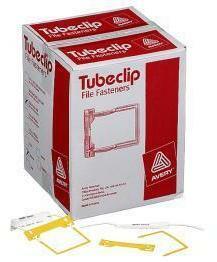 Bulk box of 500 Yellow tubeclip file fasteners.